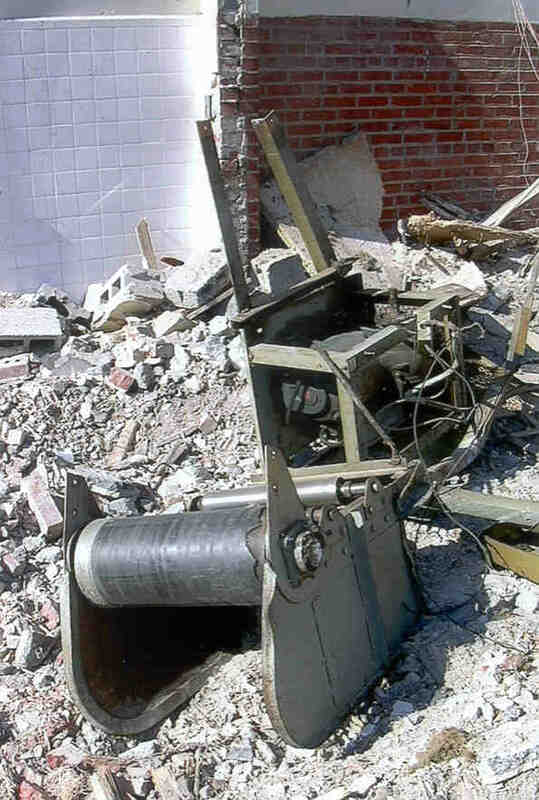 On Friday, March 7, 2003, the Blair Station Post Office was lost. 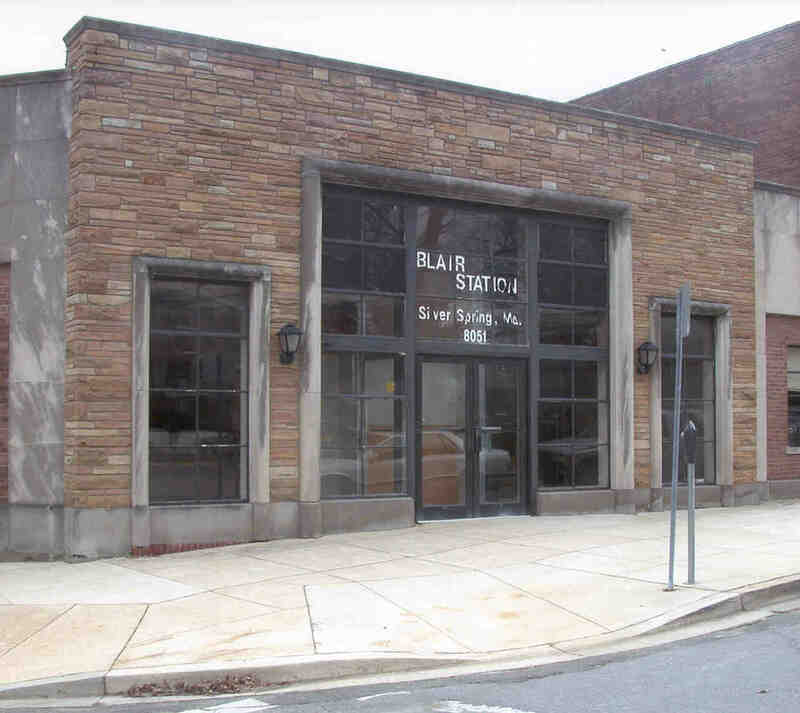 Members of the Silver Spring Historical Society worked for three years testifying against two seperate developers who wanted to demolish the post office complex. 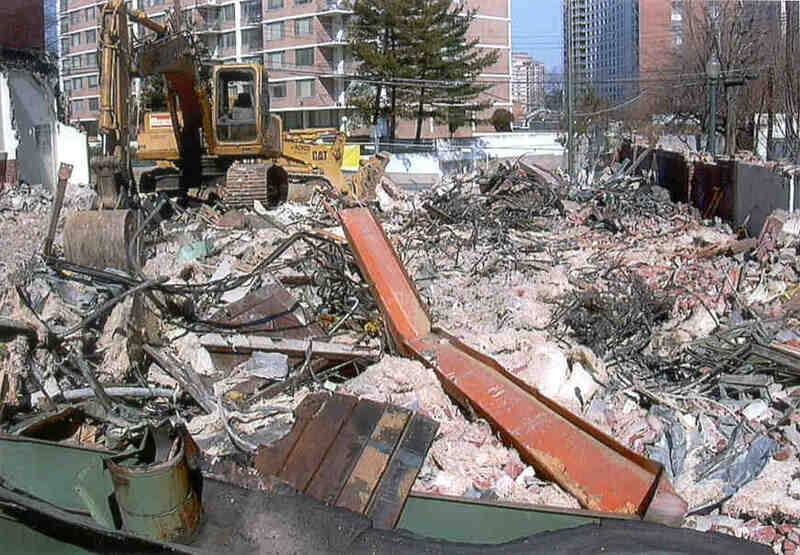 The below photographs of the demolished site were taken the next day, Sunday, March 9, 2003. U S POST OFFICE letters that were affixed to the stonework above the center limestone trim had already been stolen. "After" photo. 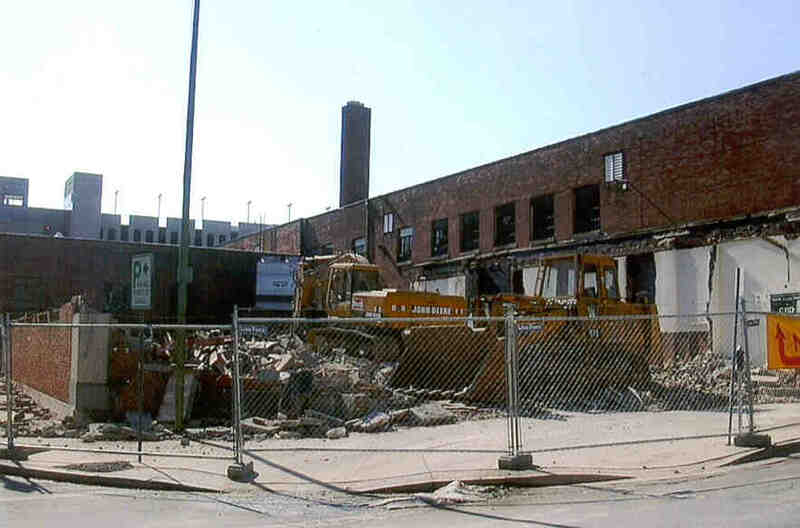 It didn't take long to bulldoze half a century of Silver Spring's postal history. "Bisecting the park will be a low wall upon which art panels are proposed to further commemorate the post office, perhaps* incorporating architectural remnants or machinery parts from postal equipment." * perhaps/adv. it may be; possibly. Clifton B. 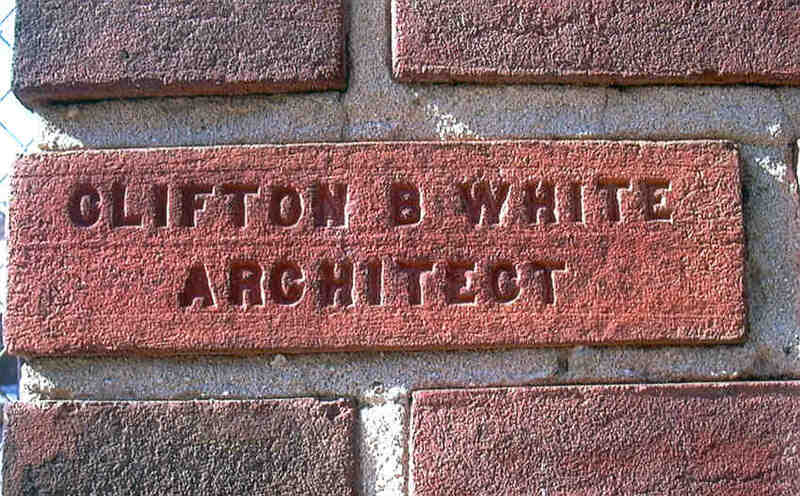 White was proud enough of his overall design of the Blair Station Post Office to have installed an incised "signature" brick. This brick is imbedded on a corner of the 1954 addition and can be seen about 6.5" from the sidewalk on the Kennett Street side as you enter the driveway for the used furniture store.